Pot pies hold a special place in my heart. As a kid, we had Banquet frozen pot pies on the regular ­— they’re cheap and quick. When my youngest sister was born, I don’t remember going to the hospital to see her and my mom, but I do remember that my dad fed us pot pies and peanut butter sandwiches that night. 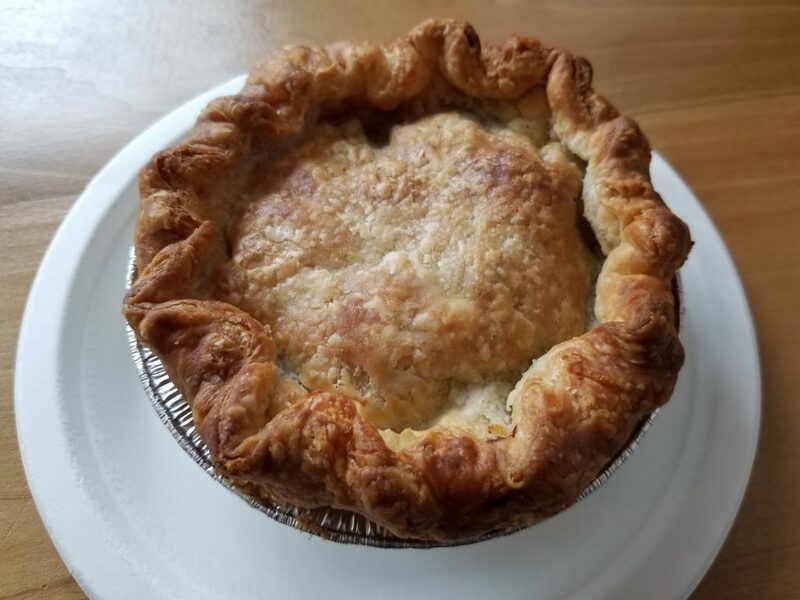 So when my friend said he was craving a pot pie from Sweet Revolution, I had to tag along. It turns out that I made a very good decision. On a cold, snowy day, a warm pot pie hit the spot. Sweet Revolution offers three options: chicken, beef, and veggie. Chicken was my go-to as a kid, but today I went for the beef. I certainly don’t regret the choice. The beef was delightfully tender and the vegetables were just the right size. The crust was flaky without being messy. Best of all, the gravy was a perfect consistency: not too thin, but not too thick. Life is too short for bad gravy. I also ordered a 3″ cheesecake for dessert. 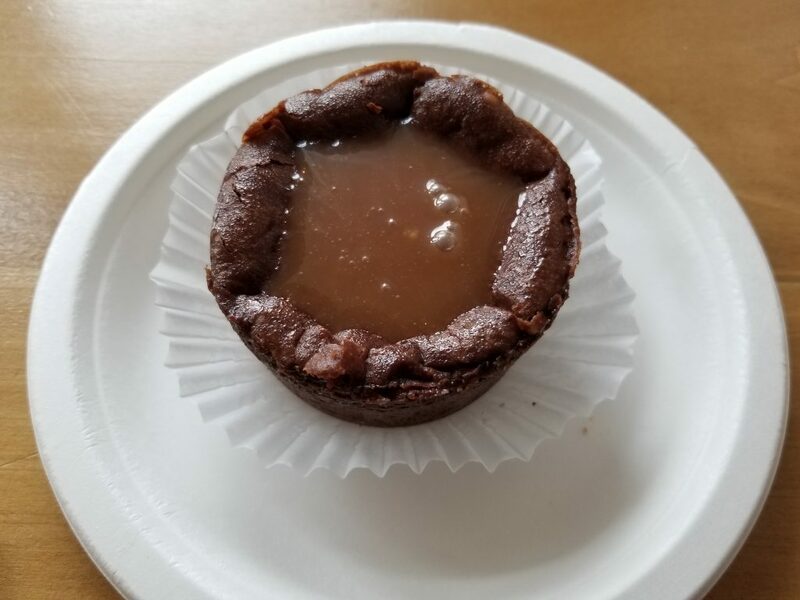 Sweet Revolution has a few options, and I went with the chocolate stout with salted caramel. It was delicious, but the crust was a little too firm. Overall, though, it was a great way to wrap up the meal. I washed it all down with a cup of coffee, freshly brewed as we arrived. If you’re looking for baked goods or a quick, hot lunch downtown, Sweet Revolution is a great place to go.